I grew up cherishing the process of making Christmas cookies. Every year, my Aunt Darlene would invite us over to bake. We’d get sprinkles everywhere, drink Kool-Aid, and giggle at their mounted deer’s head adorned with a red clown’s nose and a Santa hat. My mom would create all kinds of sweet treats with us and store them in tins on the kitchen counter. We’d drink hot chocolate out of dainty Disney mugs that played music. 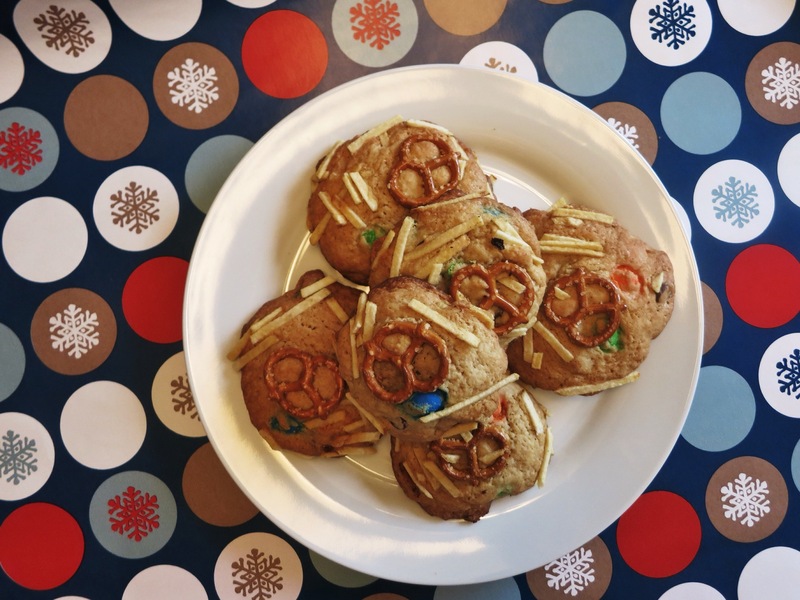 As an adult, the thoughts of Christmas cookies bring back all those childhood memories, but the act of making them creates a mess that would make Alice from the Brady Bunch unleash a 4-letter-filled rant. For that reason, I seldom get into the spirit of holiday baking. I mean, I love doing it. But finding the time isn’t easy. Time to plan, time to shop, time to mix, time to decorate, time to bake, time to cool, time to wrap, time to deliver. I’m exhausted just typing that. Still, I try to make at least one batch of cookies every year. I’m a slave to the whole salty-sweet movement. I just love it. That was the inspiration for my Junk Food Cookies. 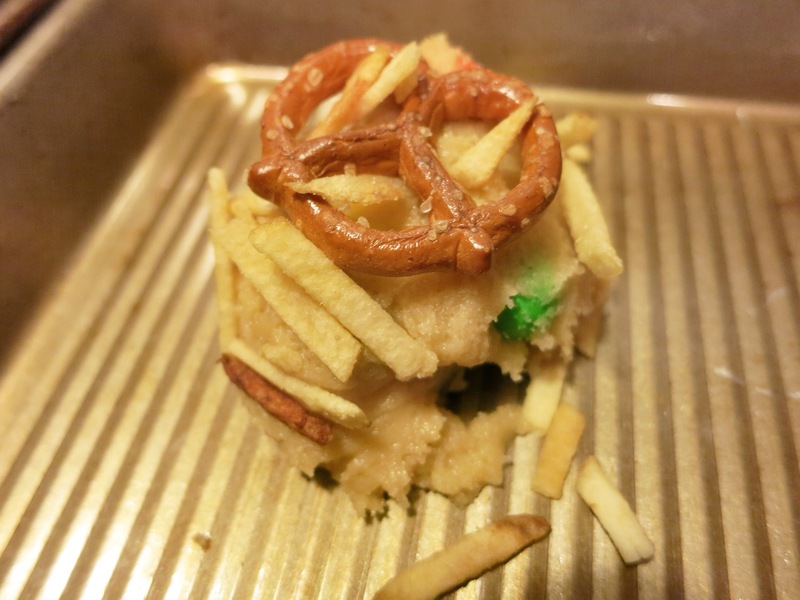 It’s a dark chocolate chip cookie laced with Peanut M&M’s, then topped with potato sticks and a pretzel. It’s weird, I know. You should get 24 cookies from this recipe. 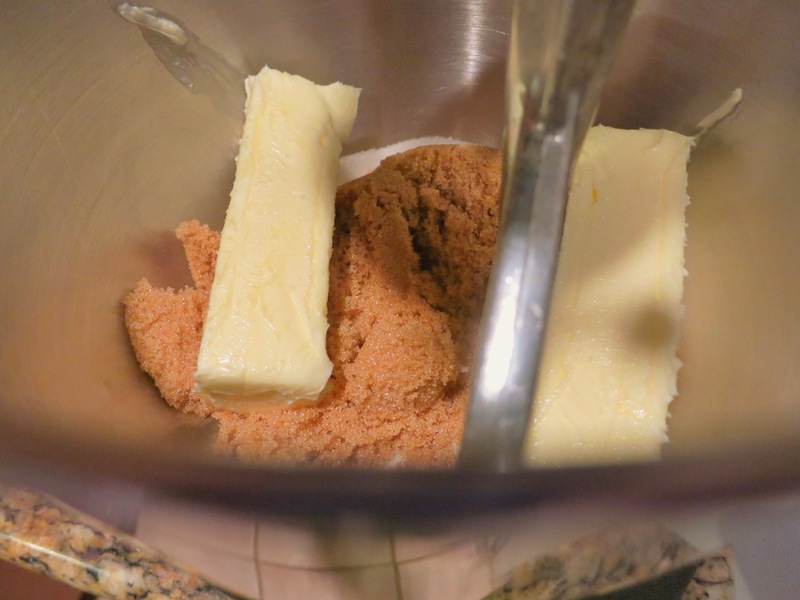 In the bowl of an electric mixer, combine the butter and sugars. 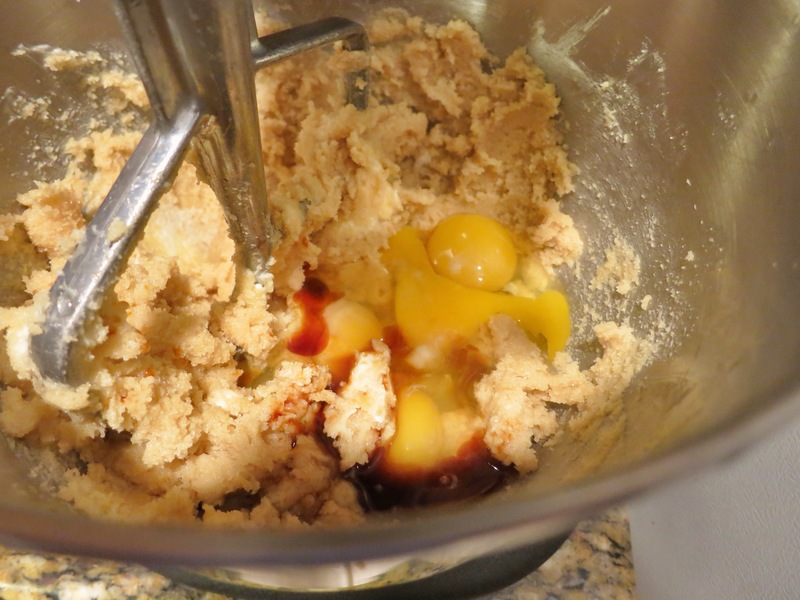 Add the eggs and extracts. Beat till combined. Scrape the sides of the bowl. Add the salt, baking soda, and flour. Beat on low to keep from covering yourself in flour. 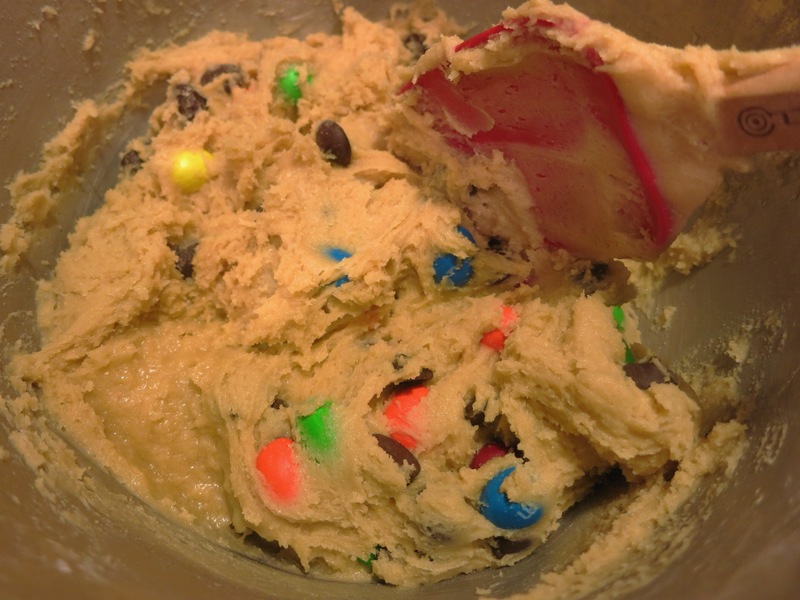 Scrape the batter off the beater, then using a rubber spatula or spoon, to add the chocolate chips and the M&M’s. 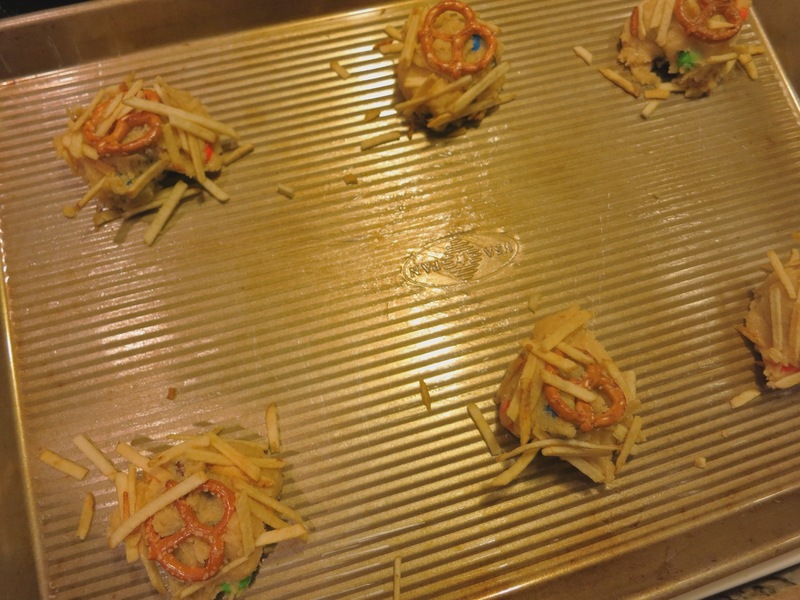 Fold the chips and candies into the batter. Spoon tablespoon-sized heaps of batter onto ungreased cookie sheets. Space the heaps pretty far apart. I got six per cookie sheet. You’ll need to bake these in batches. 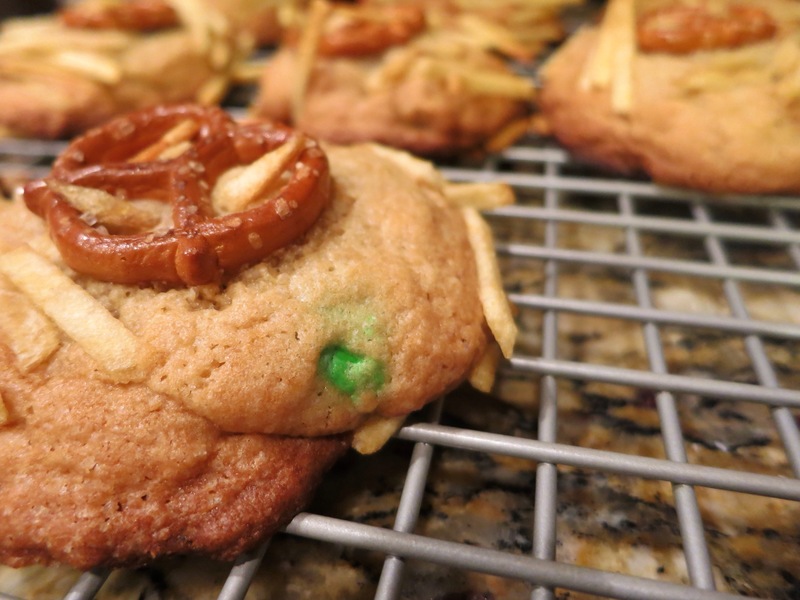 Top each mound of batter with a pretzel, then stick potato sticks to the edges of the cookie. 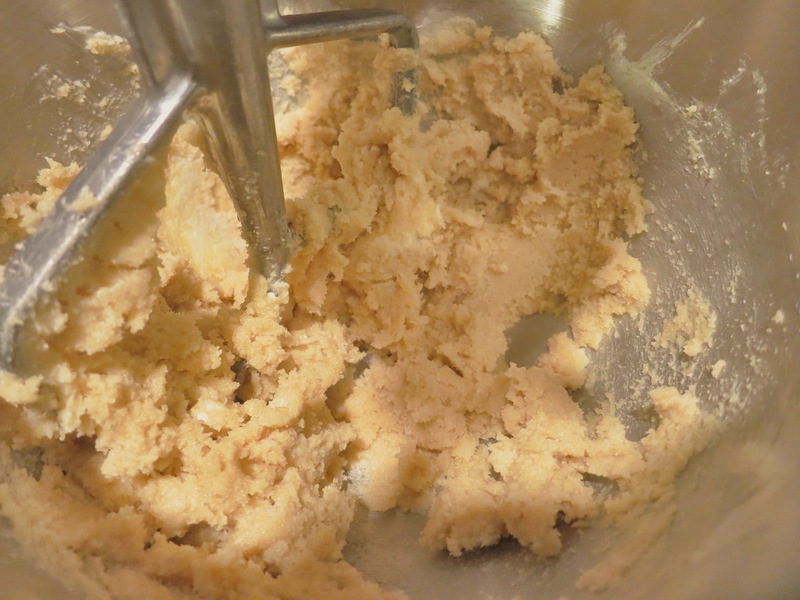 The sticks will stick to the batter if you lightly press them into it. Bake 12-14 minutes, rotating the pans halfway through. You want the edges to be golden brown and the tops to be a light golden brown. Cool on racks before serving. I love the crunch in these cookies. The Peanut M&M’s crunch. The pretzel crunches. The potato sticks crunch. The cookie itself is soft and moist. Each dark chocolate chip is firm, creamy, and decadent. There’s a great salty-sweetness here. You don’t need sprinkles. The M&M’s provide little pops of color. They’re intriguing by their appearance alone. 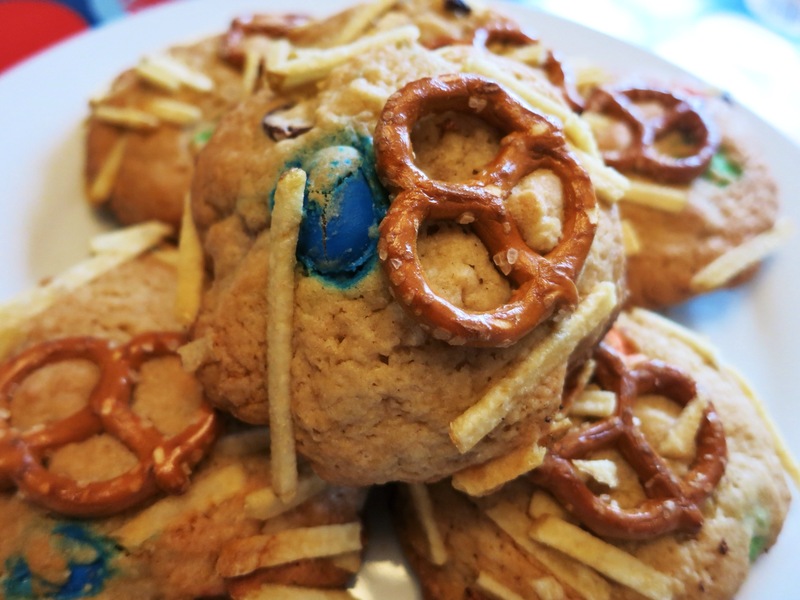 I mean, how many cookies come with a whole pretzel and shards of potato? I feel like I captured all that childhood fun by making one kind of cookie! And the clean-up wasn’t all that bad! Tip: Try using Peanut Butter, Pretzel or Almond M&M’s. I think mini marshmallows could be a fun addition here, too. Nothing like “dishing” on Pine Street! LOL The extent of my baking were sugar drop and some molasses cookies. I’ve made Chex Mix twice…done, done, done!